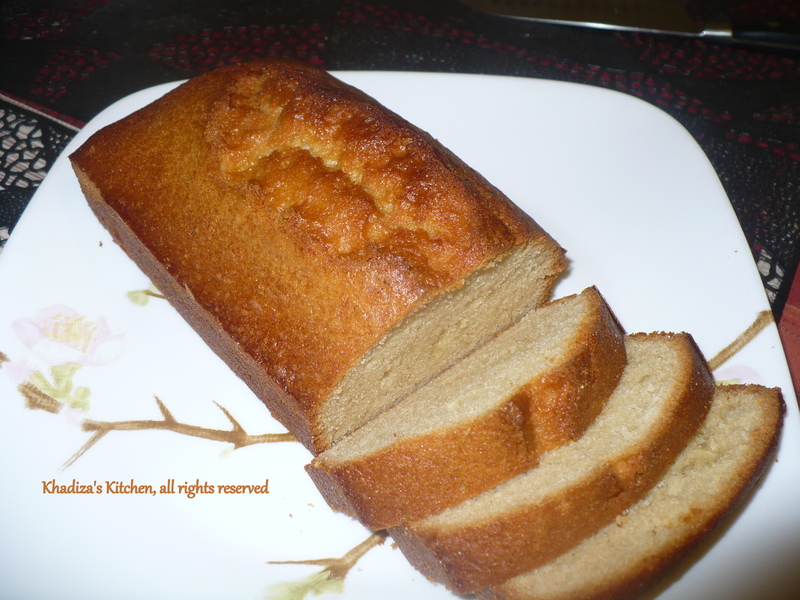 Cream cheese pound cake is undoubtedly the best flavored , moist pound cake , I ever baked . It has a golden crust , which is bit crisp the day you bake with contrast the soft but dense and moist inside . Mmmmmm just can’t describe as good as it is !! !As you store it , the crust softens . Both being tremendous in flavor . 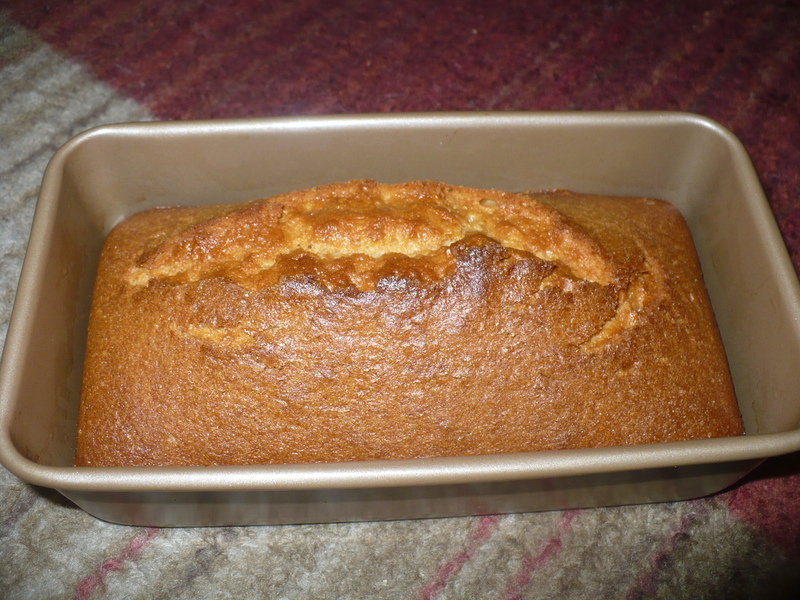 This is a very flavorful and rich cake containing the flavors of butter and cream cheese . The original recipe calls for 6 eggs , I just cut down it to half and still it’s a pretty large cake . 1. Preheat the oven to 350 FH and grease the bundt pan well . Though pre-heated at 350 FH , the cake will be baked at 325 FH. 2. In a bowl, sift together the flour, baking powder, baking soda and salt . 3. With electric mixer or hand beater , beat the cream cheese and butter until softened . Now add sugar gradually and keep beating until light and fluffy . Add the lemon or orange zest and vanilla essence . Add in the eggs , one at a time . Now after adding egg, don’t beat too much just enough to incorporate the eggs into the cream mixture . 4. Now Add the flour mixture in three additions and just fold in gently . Don’t beat or over mix . Pour the batter into the prepared cake pan and tap for few times . Now immediately place it into the pre-heated oven . Reduce the temperature from 350 to 325 FH and bake for 40-45 minutes or until a toothpick inserted comes out clean . The time may vary depending on the oven . 1. Grease a loaf pan and pre-heat the oven to 350 FH . 3. Beat the oil+butter and sugar together until light and fluffy . The lighter and fluffier it is , the softer is your cake . So beat very well . Use an electric hand beater to beat . Add in egg , one at a time . Beat very well. Please always use room temperature butter, that is softened and egg. 4. Sift the flour and baking powder together . Add the orange zest. Don’t put baking soda now . We will put it later. Now alternately add the flour and orange-milk mixture to the butter mixture . Starting with dough and finishing with dough . Like add half of the flour to the cream mixture , fold in with a spatula or a whisk , then add the orange-milk mixture and gently fold in . Finish with the remaining flour and gently fold in . Don’t beat with the electric beater or don’t beat vigorously as that might make the cake tight and rubbery . Add the baking soda now and gently mix with the batter. 5. Pour the batter into the pan and tap the cake pan to the counter top few times to eliminate any air bubbles. That is , just drop the cake pan on the counter top from few inches higher to knock down those air bubbles. 6. Immediately put it in the pre-heated oven and bake for 40 minutes . Depending on the power system , time may vary . Don’t over bake . A classic pound cake refers to a type of cake traditionally made with a pound of each of four ingredients, butter, sugar, eggs, and flour. The texture being dense yet tender . It is heavier than any other butter cakes . 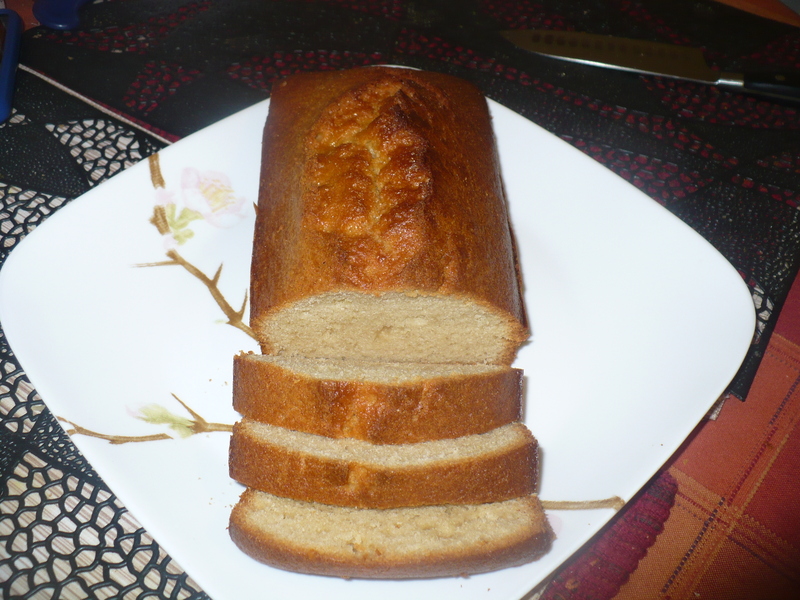 Any cake with airy and light texture is not pound cake for sure.. Now a days, there are many variations in the pound cake recipes regarding ratio of the ingredients and the ingredients as well !!!!!! Mine one is inspired by an Italian pound cake recipe given by my favorite chef Laura Vitale!!! But yes , I did change the recipe a lot and I’m surely gonna share with you the little tips and tricks as to obtain that dense but tender texture of pound cake!!!!!!!! 1 container of flavored yogurt (4 oz container), I took banana blend , you can use vanilla flavor as well. 1. Preheat the oven to 350 degrees (FH), grease and line a loaf pan with parchment or wax paper and grease again. 2. In a bowl sift together flour and baking soda . Mix lemon zest with it . 3. In another bowl cream butter and sugar with blender or electric hand beater until light and fluffy. The more fluffier , the more tender the cake is . Add egg one at a time and beat well. Add the yogurt and blend well . Mix it with the flour mixture with a light hand . Don’t mix vigorously , you may end up with a tight cake!! Add the vanilla essence. 4. Pour the batter in the pan and bake it in a pre-heated oven for 40 minutes or until done at 350 degrees . You may reduce the heat a little if you think the oven is too hot after 20/25 minutes . Pour the batter only half of the pan . Otherwise the cake may rise and collapse!!!!!!!!!!! 5.Allow to cool completely before serving . 1. Pound cakes are dense in texture and little heavier than other butter cakes . Baking powder and baking soda always make the cake texture airy and light.So I prefer not to use baking powder or baking soda the amount given in other cake recipes . 3. Try to use room temperature ingredients for the best result.